Our limo party buses are the ones in the pictures - book the actual vehicles you see! Limotainment just bought it's first Trolley that's a hybrid with a party bus interior. Check it out! Prom is right around the corner! Take a look at our blog to learn some helpful hints when preparing for your big day. 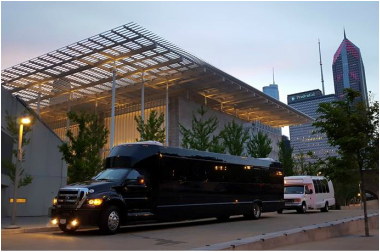 Limotainment is the highest rated party bus company on Yelp - click the above icon to hear what people are saying about our Party Bus Company in Chicago!